Growing up as the son of a Marine Corps Aviator and a public school teacher, John W. Cox saw firsthand how his parents dedicated their lives to helping others. From defending those who can't protect themselves, to teaching children for the betterment of themselves and society, he couldn't help but be affected by his parent's zeal to serve. Thanks to the support of his parents, John pursued a career defending others according to the letter of the law. He received his Juris Doctorate from North Carolina Central University in 1997. 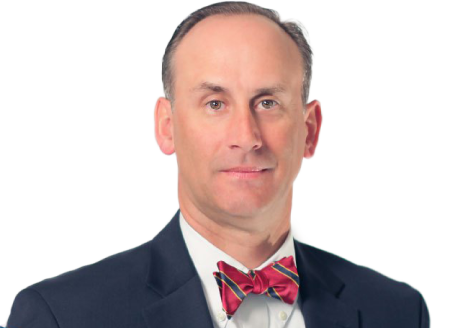 John subsequently passed the bar exam in 1997 and opened his law practice in Hickory, NC. The next year, John moved the practice to Graham, where he married Shannon, and now have three children together. 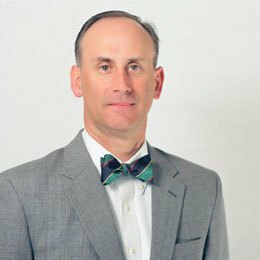 John W. Cox has practiced law in Alamance County since 1998 and has built a reputation for being a lawyer that takes your case personally. He defends your rights with utmost integrity. John has represented thousands of clients on charges ranging from DUI/DWI and traffic law violations to juvenile law and criminal defenses including misdemeanors and felonies. Laura Isley joined John W. Cox, Attorney at Law PLLC in February, 2015. Our clients are often faced with a variety of emotional situations. Laura presents a calm, helpful and supportive demeanor as she handles their immediate needs, while patiently explaining procedures. While our clients experience open and frequent communication with Attorney John W. Cox, Laura is an additional liaison between clients and our law office. She is also relied upon by Attorney John W. Cox for drafting necessary documents, scheduling appointments, as well as keeping our office running smoothly. Laura is a native of Alamance County, NC. She is a licensed North Carolina Notary Public. She enjoys trips to the beach and lake and spending time with friends and family when not at work. You deserve a defense tailored to your specific case. I am an experienced advocate that will fight for you in the courtroom. A mistake shouldn't define a young person's life. I was one of four lawyers who created the juvenile specialty and wrote the first exam. Don't just pay the fine and plead to the charge. I will personally represent you and work to get the best possible outcome. Keep the past where it belongs. The laws are complicated and always changing. I can help you get a better outcome so you can focus on your future. A misdemeanor doesn't have to tear down your future. I can represent you fairly to get a better outcome without the headache. A DWI can have devastating effects. I can help get your license back quickly so you can get back on your feet. Battling a felony charge? I can help you get out of jail, keep your job and carry on with your life.